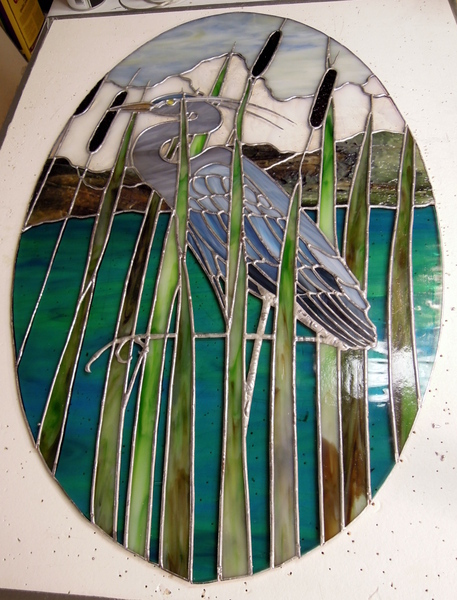 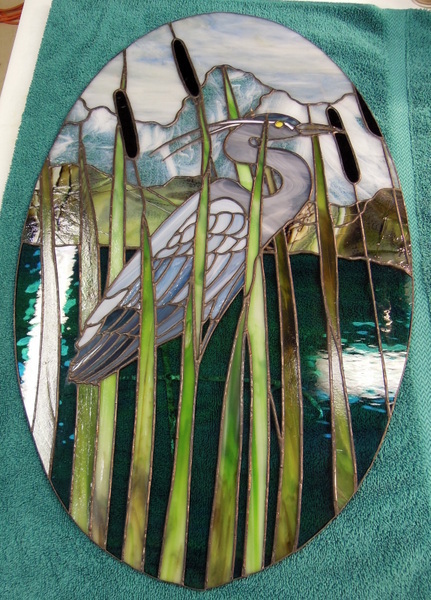 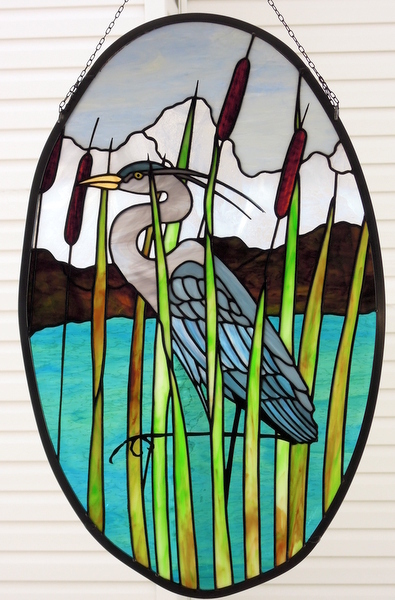 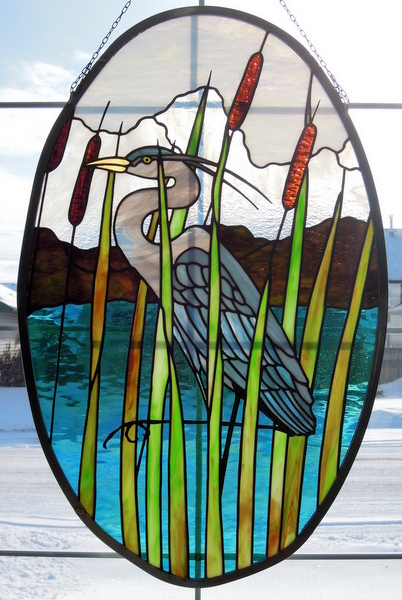 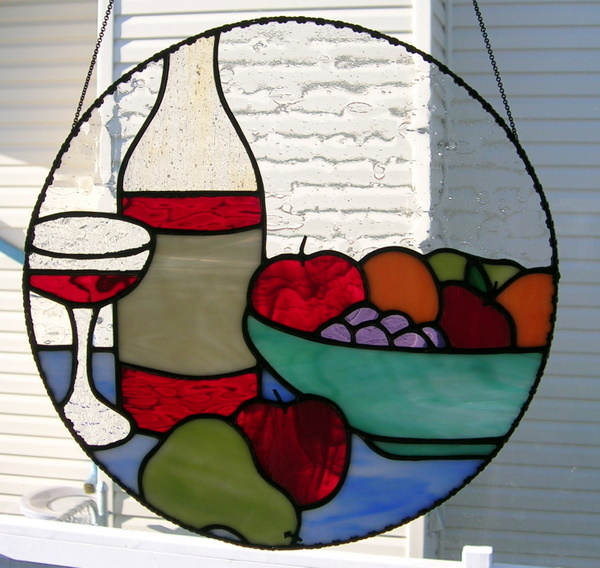 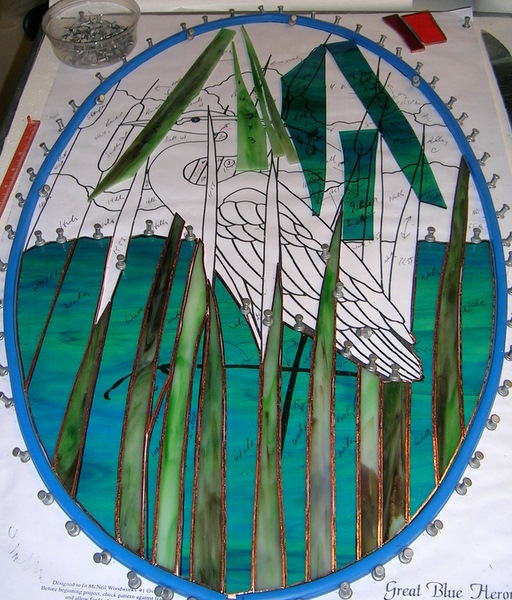 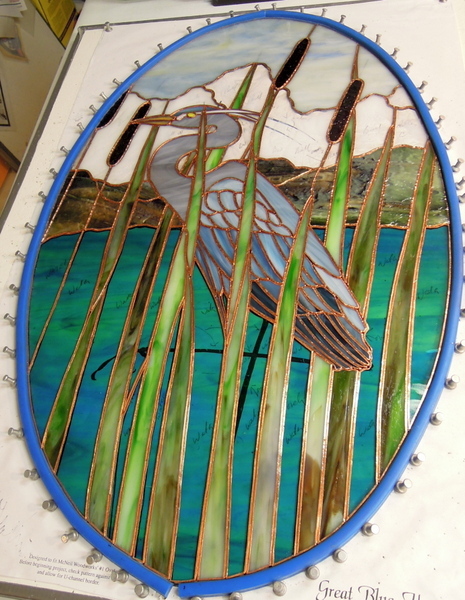 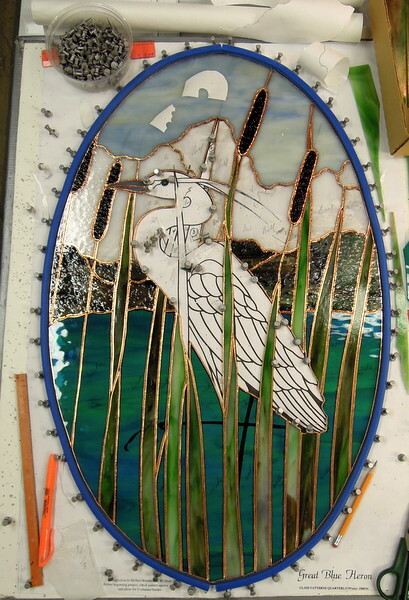 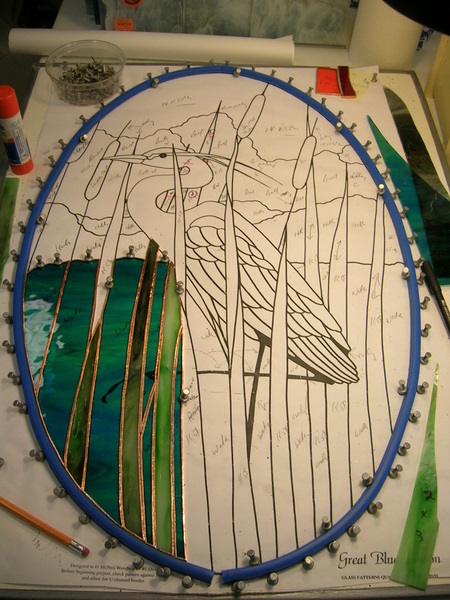 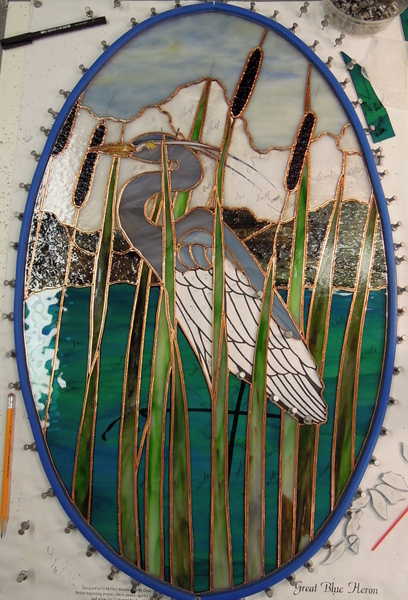 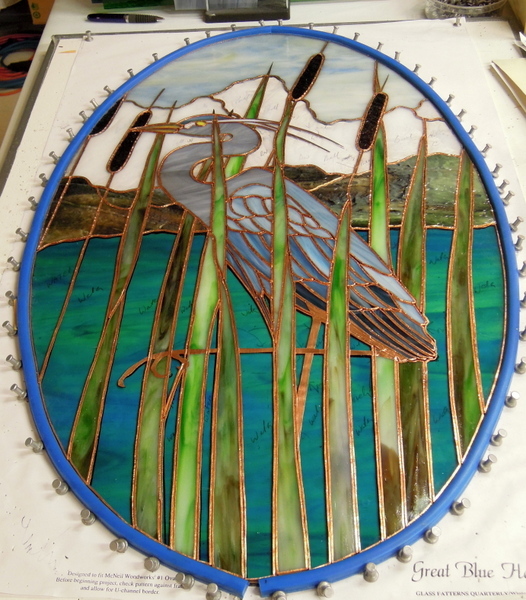 We enlarged and made this panel in 2003, donating it as a fund raiser to the Red Deer College, Red Deer, Alberta. 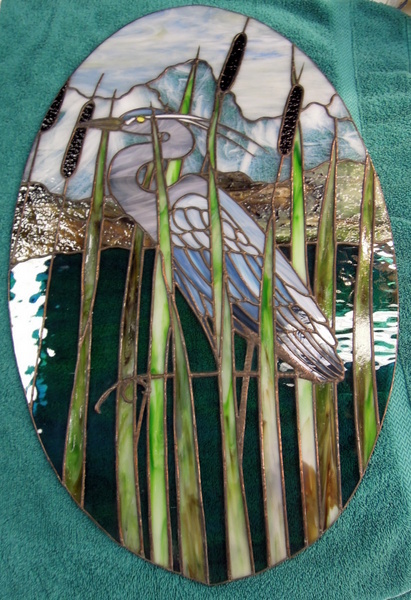 This pattern is a featured free pattern on Spectrum Glass website. 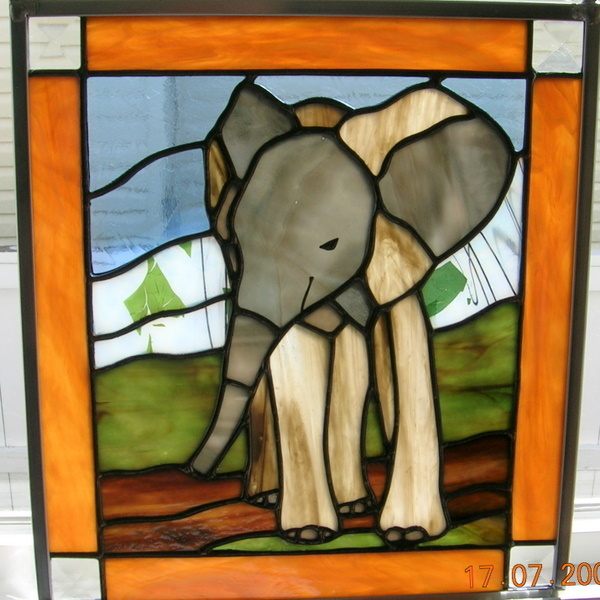 We made and donated 2 small Elephant panels in 2006 to The Calgary Zoo’s – Zoo Gala Fund Raiser “A Party for the Pachyderms”. 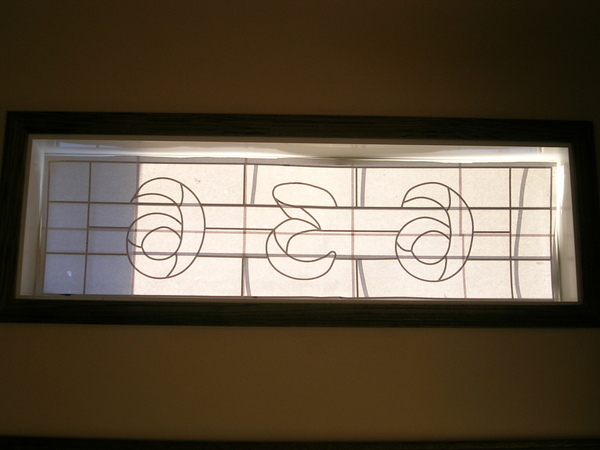 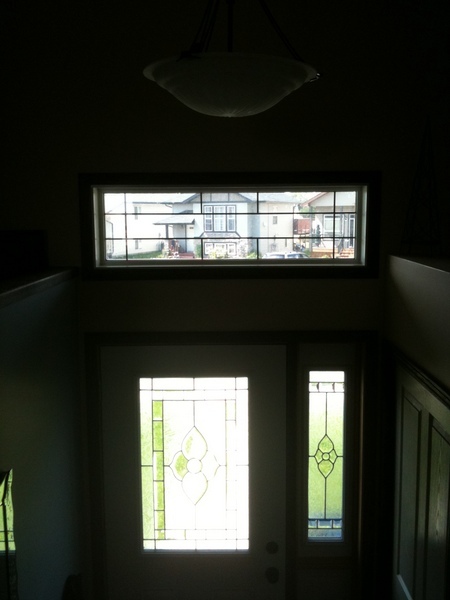 These 2 small panels were designed by Chantal Pare of Montreal. 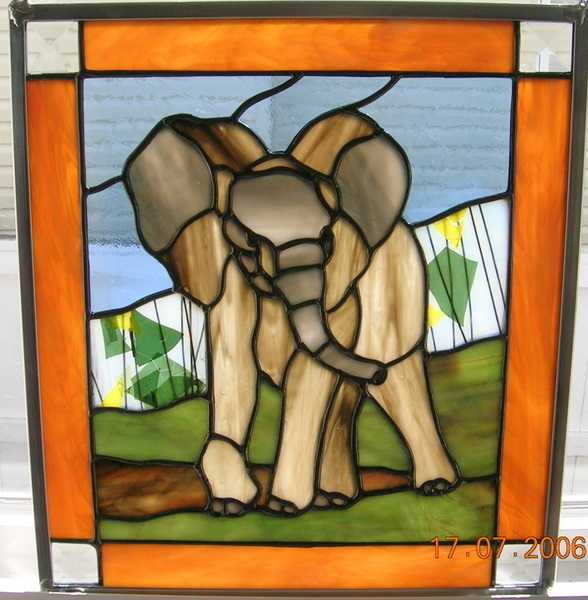 If you get a chance when visiting Calgary take in their world class Zoo and view their elephants in their awesome environment. 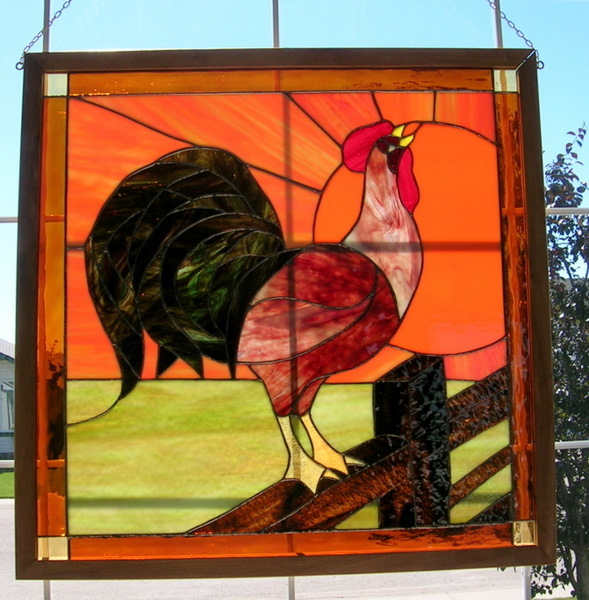 We repaired and refurbished this large Rooster panel for a client in Central Alberta in 2007.